From Denmark, you can register, play and bank in Danish Kroner at four of our nine top esports betting sites (The others don’t serve Denmark). Danish esports fans cannot make a poor choice with any of the above betting providers. It really just depends on the aspects of your experience that are most important for you. Each of our esports betting site reviews address and grade key points about the available esports event coverage, esports betting market coverage and the respective approaches to odds margins and esports promotions. The reviews also discuss the respective betting platforms for both mobile and desktop users. The above rankings are based on these overall grades, but each site has different areas of strength. Although it might sound interesting to register with a service that solely focuses on your passion for esports, esports-only betting sites have numerous drawbacks. You may find our complete breakdown as we compare traditional sports betting sites vs esports-only betting sites on our home page. More briefly, it might sound counter-intuitive, but with the top traditional sports betting sites, you get better esports event coverage, more ways to bet, better esports odds, far better betting platforms, all of which come from highly-reputable and stable companies. Esports-only betting site companies are all relatively very small. This makes them more susceptible to the risks and trends of bookmaking, so your money is less secure. It also means they do not have the scale to offer a superior service. As they focus on is esports, they only touch upon a very small part of the overall betting marketplace. It would be like a betting site only covering ice hockey. It just doesn’t make any sense - bookmaking is bookmaking. Thus, it makes sense for you to find the traditional online sports betting providers that have moved to offer incredible esports coverage and odds like those listed above that serve Denmark and offer DKK accounts. Is it legal to bet on esports from Denmark? Yes. Online betting and gambling in Denmark is highly regulated. bet365, 888sport and Unibet are all licensed gaming providers in Denmark. You will note that they offer ‘dot-dk’ domains, so they are made to serve Danish customers directly and separately from their normal sites. 1xBet continues to serve Denmark from their remote gaming jurisdiction of Curacao. From Denmark, there are many ways to transact with your betting site of choice. Each site supports a unique mix of payment methods. You’ll find available methods like Visa and MasterCard credit and debit cards, PayPal, Skrill, Neteller, Trustly, paysafecard and bank transfers. 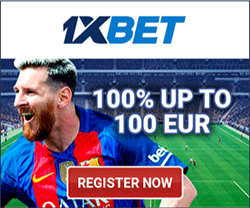 1xBet offers crypto-currencies as accepted payment methods as well. Can I play casino games or poker at these sites from Denmark? Yes. Poker, casino and live dealer casino games are available from both bet365 and Unibet for players in Denmark. 1xBet also offers casino and live dealer games. For a country of only about 6 million people, Denmark is punching well above its weight on the world scene in terms of esports. This success is in part due to the investment of organizers responsible for the Copenhagen Games. This kind of investment certainly contributes to the success of its athletes as the top 9 Danish esports earners can be found within the world’s top 100 at the end of 2018. This includes the second highest earner in the world, N0Tail, with nearly $4 million in career earnings up to the same point. Denmark can be held up as an example to the world in terms of their attitude toward and acceptance and recognition of esports as an actual sport. Schools in Denmark even offer classes in esports. The future is bright for esports in Denmark.